The Christmas lights and decorations. How beautiful does London look throughout November and December? The festivities and celebrations with friends and family. The FOOD. Ok, and the drinks. One of the veggie options – it actually out does all the meaty ones I’ve tried! I’m a sucker for brie & cranberry but that’s because it’s a seriously good combo and this sandwich is amazing. 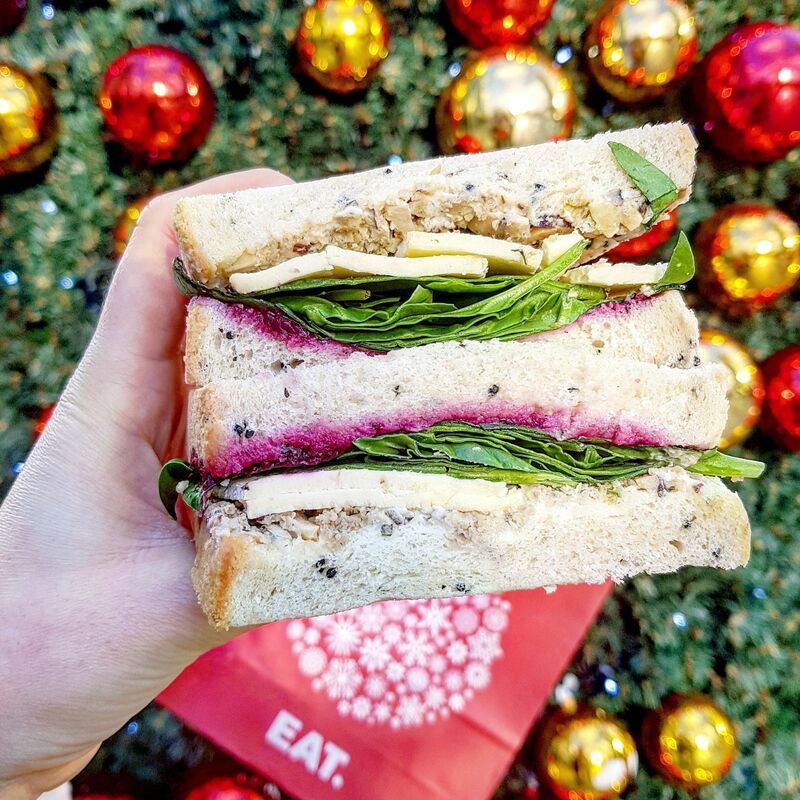 This festive sarnie has a layer of creamy Brie, plenty of crunchy nut stuffing, sweet peppery cranberry sauce and fresh spinach, all served between two slices of fresh onion seed bloomer. It’s super festive, so fresh and absolutely delicious! These might not be new this year, but the Milk Chocolate Cinnamon Sugar Tortilla Rolls are firmly back on this year’s list. Sweet and salty, the cinnamon, salty tortilla and milk chocolate goes together so well. Just a handful makes a perfect after dinner treat! Or they’re great for enjoying whilst binge-watching Christmas films next week – we all need some film snacks! I covered the Xmas Shack launch in its own post at the end of last month, because it deserved being shouted about. I still stand by this. I’ve tried a couple of other festive burgers, and many of those which have returned to menus this year, but this really does top them. I didn’t think a chicken number would ever top my list, but this is one amazing Christmas burger! 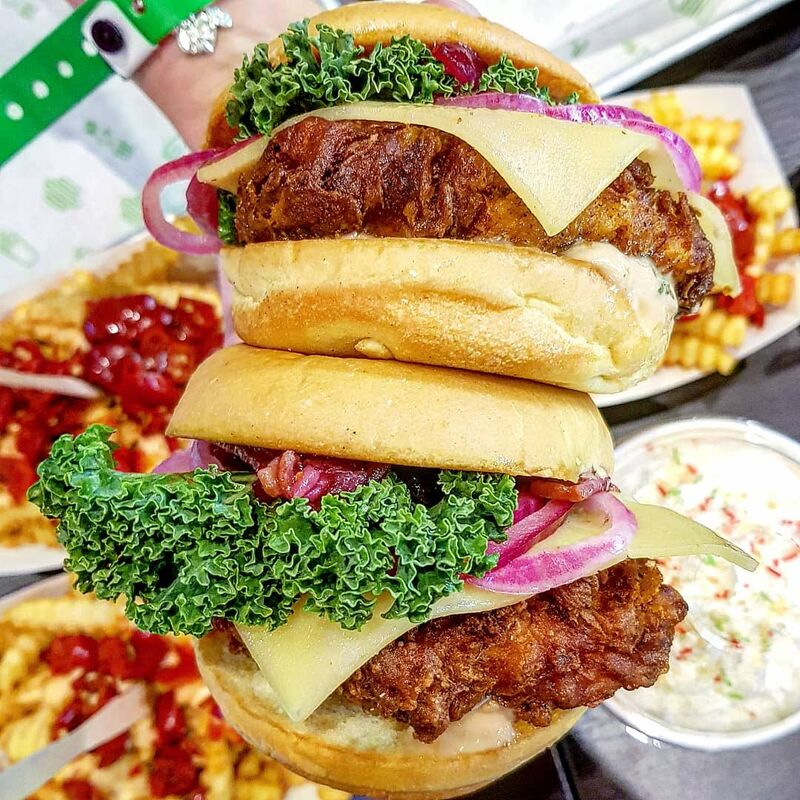 Just a reminder, the Xmas Shack, features a delicious, tender, crispy chicken breast topped with slightly melted gruyere cheese, pickled shallots, fresh sliced kale, an amazing cranberry bacon chutney & creamy gravy mayo. My tummy is rumbling just reminiscing about this. I need to plan my return before the menu finishes in January! 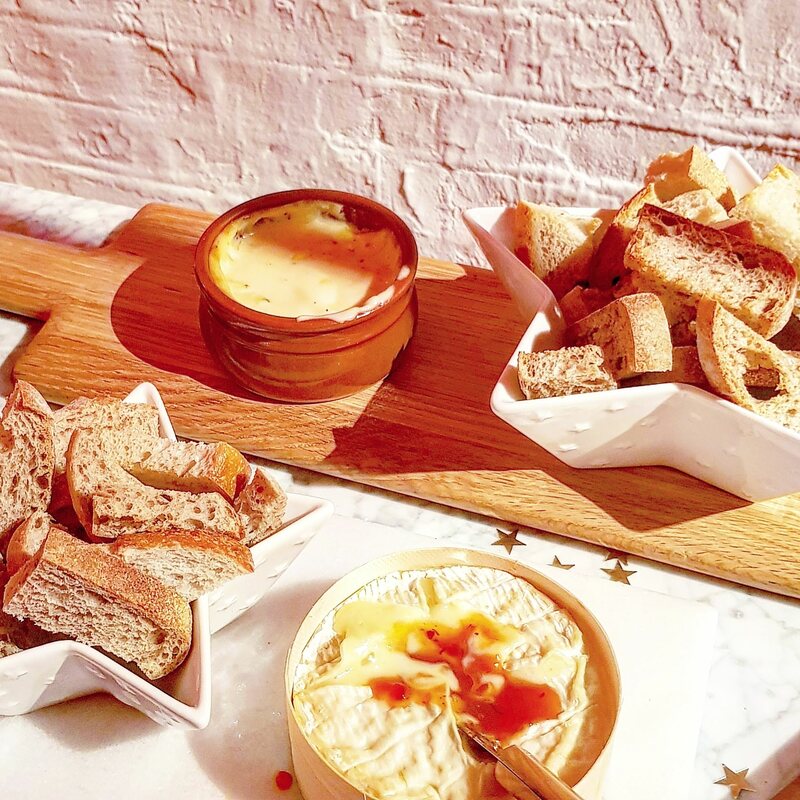 This is actually a combo of two cheeses, emmental and gruyere, with a touch of calvados (brandy) – because what is Christmas without a touch of the stuff? It’s ready to bake in the oven in the dish it comes in, so it’s super simple. As for the taste – it’s heavenly. Rich, creamy, absolutely dreamy. So tasty. I loved it with a chunk of crusty bread. This is definitely coming out again this Christmas…in fact, I’m hoping it makes a appearance at tonight’s wine & cheese night. Our girls’ Friendmas celebration. Yes, you read right. 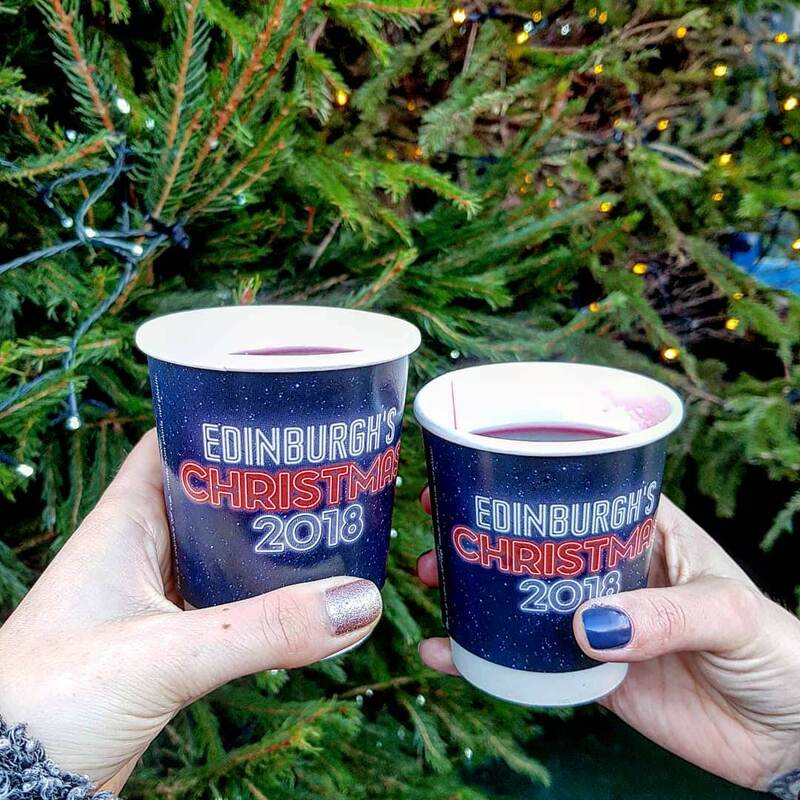 A glass of mulled wine with amaretto inside too. It adds a slight nutty touch, and yes makes it a little extra boozy. It’s bludy delicious! Highly recommend it. I fell in love with this combo after having it recommended to me by Allie (Rush and Teal) whilst we were in Edinburgh, and I will definitely be serving mine this way this Christmas! If I’m after a cold cocktail, those who know me well, know an espresso martini is always my go-to first if on the menu. We all know Christmas is the season for sparkly things, glitter and sequins. So what better than a shimmering espresso martini?! 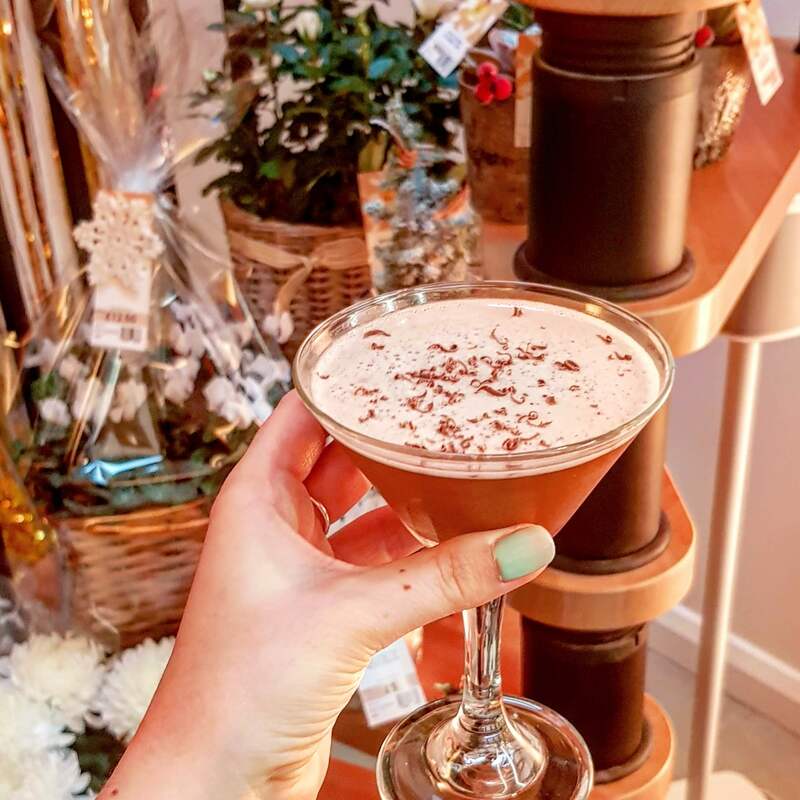 M&S has a Sparkling Espresso Martini Cocktail Gift Set this year (£30), which provides everything to make these beauties! This is firmly on my wish list..but I’m tempted to treat myself especially for Christmas day when I’m prepping Christmas lunch. Yes, I’m taking it on this year! I tried these to finish a Christmas feast with M&S recently, and they were divine. Seriously indulgent. 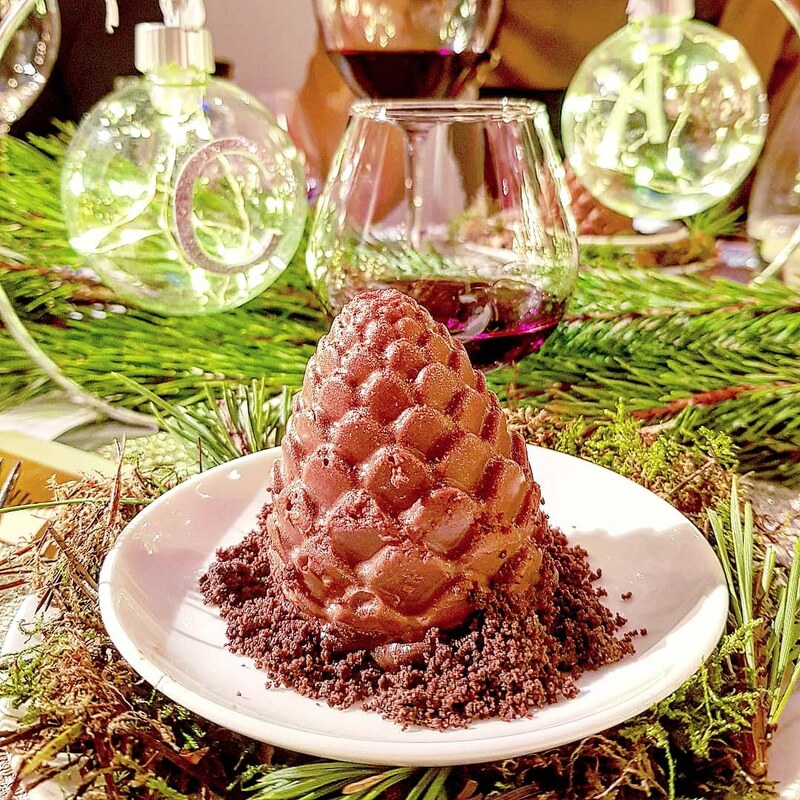 Cone shaped chocolate-mousse, the M&S Collection Chocolate Pine Cones are filled with chocolate sauce, dipped in dark chocolate and dusted with pretty edible gold glitter. They were seriously dreamy! And how cute do they look?! I think they’d definitely impress if you whipped these out after Christmas lunch this year! Ok, I’m actually looking forward to the pigs in blankets (as always) and plenty of sprouts too – Yes, I’m a sprout lover! And all the leftovers. Leftovers are fab right?! I know a lot of this year’s faves are from M&S, but I’m really loving their ranges! They’re such good quality and really aren’t expensive (which is what I used to think!). I’d rather pay a tad more for good quality now anyway – it makes such a difference. 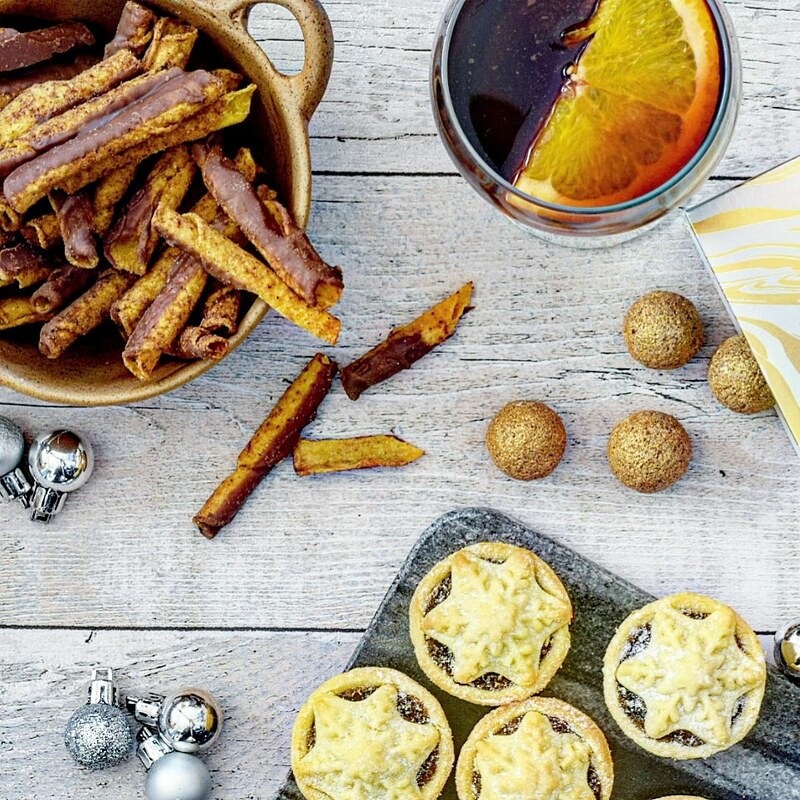 What are your favourite Christmas foods this year? Have you tried any of the above? I haven’t eaten cranberry in a very long time but I know I didn’t like it. I keep seeing it together with Brie which I love so perhaps I should give this combo a go. I want to like it 🙂 Definitely getting more of the tortilla crisp rolls – so good! Oh nooo – I hadn’t realised the cinnamon tortilla things were back!